KINGSPORT, Tenn. – Kingsport City Schools will hold Pre-Kindergarten Screenings (not registration) for the 2018-2019 school year on Thursday, July 12, 2018 between 8 a.m. - 2 p.m., located at the Palmer Center, 1609 Ft. Henry Drive, Kingsport. Only Kingsport residents with children four (4) years of age on or before August 15, 2018 are eligible for Pre-Kindergarten screenings. Children will not be screened until all of the documentation listed above is provided. Pre-K classes are offered Monday – Friday between 8:30 a.m. – 2 p.m. 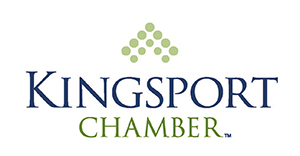 Classes follow the Kingsport City Schools calendar, but please note that transportation is not provided. Current Pre-K locations (subject to change) include Palmer Early Learning Center, Jackson Elementary, Johnson Elementary, Kennedy Elementary, Lincoln Elementary and Roosevelt Elementary. For more information on Pre-K Screenings, please contact the Palmer Early Learning Center at (423) 378.2160 or click “Registration” icon found on the homepage at k12k.com. KCS has been named the top school district in Tennessee as winner of the 2014 SCORE Prize District Award by the State Collaborative on Reforming Education (SCORE) and has earned the 2014 Achievement Award in the annual Excellence in Tennessee Recognition Program by theTennessee Center for Performance Excellence (TNCPE).